Produced in just a few hours from only two ingredients – yoghurt and salt – it’s easy to see why Labneh is becoming increasingly popular among food bloggers and writers alike. For those of you not in “the know”, labneh is a fresh soft cheese (also known as strained yoghurt) traditionally eaten in the Middle East. Though it is used in some cooked dishes, labneh works best as a dip or meze with a delicious topping of herbs and olive oil. As its secondary name suggests, the process of making labneh involves straining the whey out of the yoghurt. This removal of the sweet whey intensifies the yoghurt-flavour, making for a rather tangy cheese. Of course, it is delicious served with only a little good-quality olive oil, but it really comes into its own with a little imagination. By the way, if you thought spreading a thick layer of shop-bought cream cheese on your bagel in the morning was delicious, just you wait until you try this recipe. Breakfast will never be quite the same again. 1. With the yoghurt still in its pot mix in the salt. Line a sieve with a large square of muslin and tip or spoon the yoghurt into the centre of the cloth. Fold over the corners and stand a jam jar, or similar, on top. Set over a bowl and leave in the fridge for at least 4 hours. 2. Remove the labneh from the muslin. At this point you can stir in whatever herbs/spices you like, or leave plain to be spread on bread, dipped or topped with other ingredients. Cost: It doesn’t take an in-depth financial audit to realise that the cost of making Labneh entirely depends on your choice of yoghurt (unless you’re using some seriously expensive salt). Cows’ yoghurt tends to be a little cheaper than goats’ or sheep yoghurt. However, the flavour you get from the milk of our smaller ruminant friends could potentially help your Labneh stand out and give it a more authentic taste. In this case, the cost really is up to you! 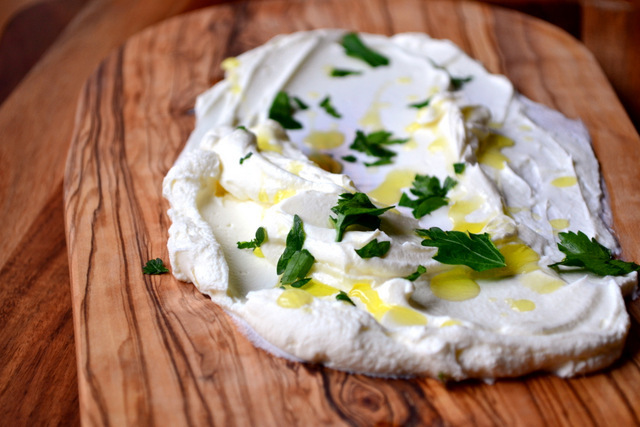 I love labneh with olive oil and za’atar – the best!! 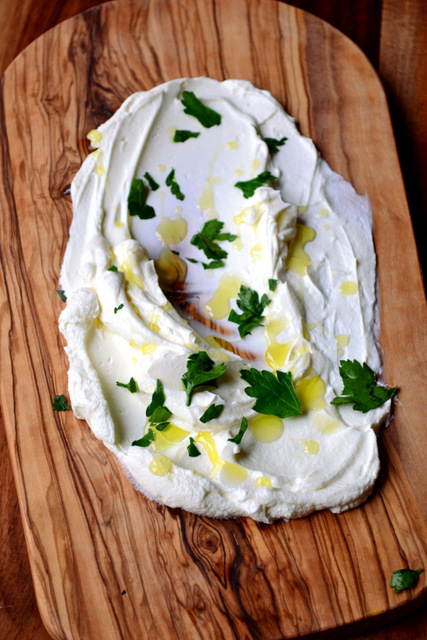 I LOVE labneh – I grew up with my mother straining big batches of yogurt all the time in our house. She’s Lebanese, so that’s like you said, a staple our stomachs. Thank you for sharing this simple, but so delicious recipes with the world! sounds like a good household :D. My pleasure! Love it! I am familar with it in Middle eastern resturants. It’s a classic – perfect meze. Yes, I’ve seen that – I believe it’s for preservation. I used to make this all the time when I could still eat dairy. Delicious! I could probably do the same thing with goat or sheep’s milk yogurt…thank for the reminder! What a gorgeous photograph. It’s incredible with Goats and sheep milk – you should give it a go! Thanks, Tanya – I hope you make some and enjoy it :D.
I love the idea of making this. I’m always excited when I come across something that is a little different that I’ve never thought of making before but actually would be so easy. I get excited too – I just want to make! Do – it takes very little effort! 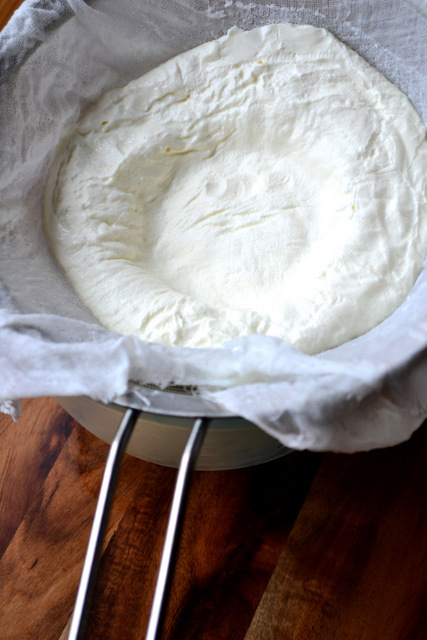 I have been making what we call ‘yogurt cheese’ for years! In fact, I make it so often I have purchased a reusable coffee filter so that I need not use paper filters or cheese cloth to strain. You need a dedicated reusable coffee filter otherwise your yogurt make take on coffee flavour. I have used ‘yogurt cheese’ as a replacement for cream cheese in cheese cakes, dips and soup thickeners! I love your simple dip and how it’s presented on that beautiful board, is it olive wood? That’s a good idea – yes, never mix coffee and another use (same goes for spice grinders). Thanks for the tip. I believe the wood is olive, yes :D. I adore it. Well, this recipe couldn’t be easier to remember as well with only two ingredients that we almost always have on hand! I’d love to try this one, I think it would indeed give bagels a new twist! Exactly – it really is perfect on bagels… Great to hear from your Barb’! You must – it’s just so easy. It is so tasty and involves so little work. Exactly – really simple and utterly delicious! Had something similar, I think, in Turkey. Served on a plain ceramic plate with a dollop of local hone. It was to die for. This looks very doable. Thanks! That sounds amazing – good honey is fantastic! this is one of my all-time favorite, any-time snack. Simple things are the best! They are indeed, I’m glad you agree. Simplicity it wonderful. That is a lot of labneh, but it really is a wonderful thing! Really simple dish. Pure, simple photography. A triumph Nick. Your simple, stunning photos are the perfect illustration of this simple, stunning dish. Perfection! Smiling… I see that Conor Bofin expressed the same sentiment earlier. Wasn’t copying. 😉 That was just my immediate reaction to your photos, thoughts, and recipe, too! Haha – it’s fine, more than one person can give me the same compliment :D. Thank you very much. 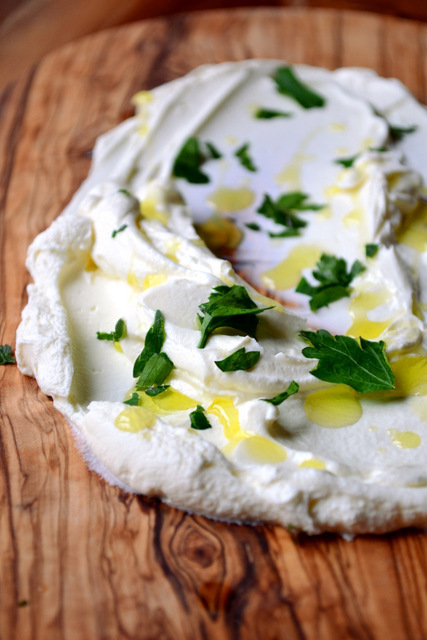 I’ve never heard of Labneh before, but I certainly want to try it! You should – it’s seriously simple and delicious! This may sound like a silly question but what comes out of the muslin cloth into the bowl? I grew up eating Labneh! I am really pleased to see such a staple in the Lebanese food arsenal get so much good hype. Though humble, Labneh is a very versatile food, we bake it on dough with cooked ground meat to make some sort of calzone, or even eat it with flat bread with an array of vegetables. I think it’s fantastic. Thanks for the suggestions, I can’t wait to make it again! MMmmmmmmm! Wonderful! And I hope your New Year is wonderful, too! Thank you – I’m sure it will be. Have a great 2014! How long could the labneh be stored? Tried this with fresh parsley and garlic shoots. Heavenly. Thanks for posting this.